Slave to many Screens, the prize I guess, goes to my Phone. It’s literally my lifeline at and to my work as well as my home when I cannot be at either place for whatever reason. Being a 24 x 7 ObsGyn Specialist, a full-time mom and wife involves several “Me’s” and it is this gadget that keeps me connected with the others while I am busy playing one “Me”. I wake up to its gentle persuasion at 5.30 am. It gives me my daily fix of Good mornings and good wishes from my sisters and friends along with my ward updates from the Nursing Officer on night duty. Once I see off my daughter it gives me news from around the world and my own little world as well. My husband and I sometimes share jokes as part of the morning bonhomie. And who gets it to us.. our phones of course. As I drive to my place of work, I catch up with my mom – yes on my phone! During a break at work I catch up on what’s going on at home. My breaks after work means I can catch up with the latest joke doing the rounds on Whats App or Facebook. There are people I need to wish a happy birthday or a happy Anniversary or just a happy day! My online word games keep me connected with friends I may not call very often but it’s a way of saying Hello! My sisters and I have an online gaming session at least once a day. We also have a little group which we constantly update with the little “agonies” and “ecstasies” of day-to-day life. The social networking sites and the net has been blamed often for destroying relationships and communication but stop for a moment, don’t you think you would never have reconnected with your school and college batch mates halfway across the world, had it not been for that very net? My husband, my son and I are away from home either at work or at studies. The biggest link between all of us is my phone, whether we catch up through texts through the day, or short “I – am thinking-of-you” calls as we wake up or go to sleep. I am a part of academic forums which has created friends in all parts of the country, nay the world, who we count on in times of professional dilemmas and sometimes personal ones as well. I have never met most of them but to me they are as real as any colleague I meet every day at work. I love music and it’s the music I store in my phone that keeps me company while on a walk or jog, waiting for a flight or just going on a drive. I have stored books and articles as well, which I may or may not read, but am always sure are available at the click of a button. My new-found hobby of blogging is also accessed on my all-in-one pick me up through the WordPress app. Every comment like and follow is dutifully logged for me to see at whatever time I decide to. When I’m away from my hospital, I have my finger on the pulse of my ward through the regular sitreps that I ask for and get . And oh yes before I forget, my camera. It captures all of the little events that make my album of happy moments – from a dish I have cooked to a difficult case I have tackled, from my trips to the beach on a vacation, to a visit by a dear friend at home, from my husband and children to my pets, from recording my clumsy attempts at playing the keyboard to a painting I have done. A special person who I want to share a few of my favorite little things,my little joys and sorrows, insignificant to most, but important to me and mine, is so easy to reach because of this little gadget in both our hands. Having said this, let me hasten to add that no gadget text or smiley can ever replace my physical presence in my dear ones lives nor theirs in mine, but till we can actually be together, there is nothing else that comes as close. Nothing will ever feel quite the same as eyes that meet, a quick hug, a smile or a kiss but my phone has made my world a smaller place, even the proverbial seven seas a mere breeze to jump across. My phone helps me keeps track of my family, my work, my time, my friends, my colleagues , my long-lost friends and colleagues of yesteryear, my money , my contacts, my important dates and deadlines. It keeps me “in touch” till I can actually be there. Oh yes I think the screen in today’s prompt has to be my phone screen. Neither top of the line nor sleek nor beautiful, nor the latest or costliest, it is like me – very real and very “me”! better read with more substance than 100 days..
Thanks…….. however biased it may be! Propulsive as well as factual and thoughtful approach,keen eye for every detail,addresssal to some of the brownie points of a smart companion belongs to a multi tasker who very soon is going to give tough competition to established writers…….Wish Steve Job would have hired u for promotion of his Apple series…….KEEP your spirits high !!!! 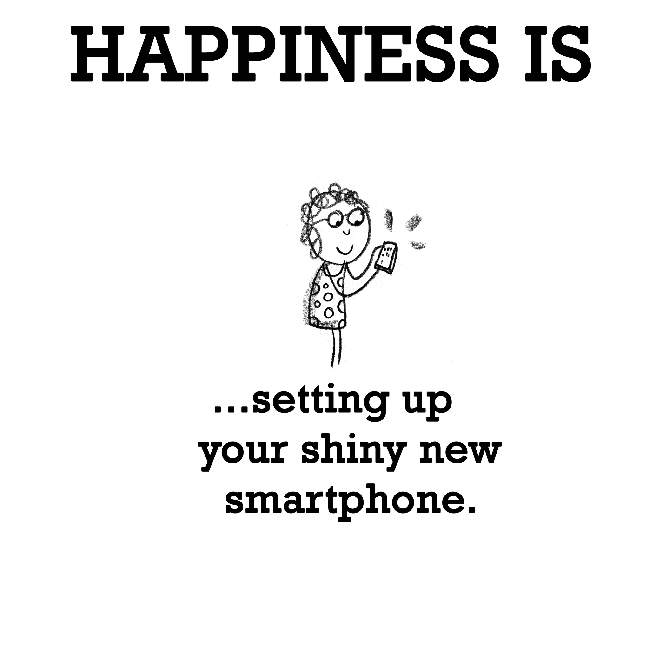 Ha ha Rashmi…u are a real pick me up….god bless ..
All merits of your electronic companion summed up well. It is indeed a miraculous invention one we probably are unable to live without in our era. Thumbs up!!! U said it! Thanks for the constant support. . Thank you but I did Not quite get the point of the comment. Is it a kind of lesson in writing? The appreciation means a lot , Sugatha. Thank you!